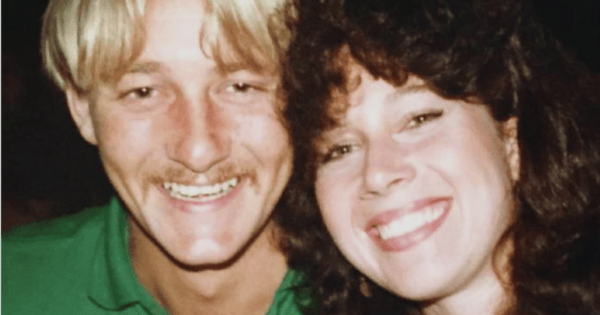 The devastating story of John Cobby, the husband of Anita Cobby. "I blamed myself for her dying and still do." The story of John Cobby, whose life became a nightmare. Warning: This article may contain details of violence and sexual assault that are triggering for some readers. John Francis was sitting in front of the television with his son on an otherwise unremarkable weeknight. They sat quietly as the next program began; a documentary on the murder of 26-year-old nurse Anita Cobby. His son, Daniel, suddenly heard sobbing coming from his father. He wasn’t an emotional man, and he couldn’t work out why this woman on the television had elicited such a response in him. That’s when John decided to sit down and tell his two children, a son and a daughter, who he was. His birth name was John Cobby, and Anita Cobby had been his wife. John, then 23, had met Anita, then 20, at Sydney hospital, where they were both studying nursing. Anita Cobby, right. Image via Channel 7. "Just these ringlets of hair everywhere, God she was beautiful, and I thought far too good for me," John later said. Eventually, he found the courage to speak to her, and to his surprise, she seemed interested. The two went on their first date to a Lebanese restaurant in Surry Hills, and from there they were virtually inseparable. After dating for just over a year, John asked Anita to marry him. Soon after their engagement, Anita fell pregnant and they were both elated. The pair could not wait to become parents. A few weeks after the announcement, Anita suffered a miscarriage. Although they were both devastated, they assured each other they&apos;d have another chance, and it wouldn&apos;t be long before they started their family. On the 27th of March 1982, the two married in what John called a "typical Australian wedding with nothing pretentious about it." They had no honeymoon, instead renting a house in Rockdale and living a life they both loved which involved dining out, concerts and their two beautiful dogs. A few years later, John won 10,000 at the horse races, and told Anita it was her turn to decide what they did next. She desperately wanted to travel. John and Anita went to the US and had the trip of their lives. When they returned home in mid 1985, John was ready to settle down, invest himself in work and start a family. Anita, on the other hand, felt restless. There was more travelling she wanted to do, and it became clear that they were at different stages in their lives and wanted different things. They decided to take a break, despite how much they loved each other. Anita returned to her family home in Blacktown, and John to his family in Rockdale. They spoke daily, and after six weeks, they&apos;d discussed buying an apartment and moving back in together. On the 2nd of Feburary, 1986, Anita told her mother over breakfast she&apos;d been home late that night, as she was having dinner with some friends from work. John had asked if she would like to see him that night, but Anita explained she already had plans. Anita finished work at Sydney Hospital at 3pm, and then met friends for dinner in Redfern. After dinner, one of her friends offered to drop Anita at Central Station, and she accepted. Anita&apos;s train left Central at 8:48pm, and arrived just before 10. Usually, 26-year-old Anita would call her father at the station and he would pick her up, but this night all the surrounding pay phones happened to be out of order. There were also no taxis available at the taxi rank. It was a warm summer night, and Anita decided to walk home. It was 10pm when a gang of five men pulled up beside her in a stolen car, grabbed her, and dragged her in to the vehicle kicking and screaming. A number of witnesses on Newton Road in Blacktown heard the voice of a distressed young woman, and called the police. That night, Lyn, the friend who dropped Anita off at Central station was awoken by a terrible nightmare. It was Anita, telling her she was dying. 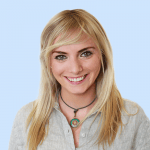 When Grace Lynch, Anita&apos;s mother, woke the following morning, she noticed Anita wasn&apos;t in her bed. Often, Anita would spend the night at a friend&apos;s house if she&apos;d been out late, so Grace assumed they&apos;d hear from her that morning and wasn&apos;t too concerned. That afternoon, she received a phone call from the hospital, asking if she knew where Anita was because she hadn&apos;t turned up to her 1pm shift. It was at this moment that Grace knew something was wrong. Grace, her husband Garry and Anita&apos;s sister Kathryn, began calling friends and family, asking if they&apos;d seen Anita. At 8pm that night, they called John. John was having dinner with his father and a friend, when there was a call to the restaurant. As soon as John heard they couldn&apos;t find Anita, he panicked. He frantically left dinner, and went straight to Anita&apos;s home in Blacktown. The next day, John and Anita had made plans to go to Shelley Beach on the Central Coast, so John did just that. He hoped that maybe she would be there waiting for him. John listened to the radio, thinking about how just months ago they&apos;d sat alongside each other, singing and laughing. Suddenly, the song playing was interrupted by a news broadcast. John still remembers the words vividly. "A naked body of a young woman has been found in a paddock at Prospect in Western Sydney. Police are yet to identify her." John never made it to Shelley Beach. Instead, he turned around and drove straight to Blacktown. The police presented the family and John with a Russian wedding ring that was the only thing found on the victim. It was Anita&apos;s.
It would unfold that on the the night of February 2nd, Anita had been brutally gang raped and murdered by five men, in what would come to be known as one of the most horrific crimes ever committed in Australian history. But it was not just Anita who died that night. A part of John did, too. He says that February 4th, the day he found out what had happened to her, was the worst day of his life. John Cobby. Image via Channel 7. John was the first person to be questioned regarding Anita&apos;s murder. He was pushed into a wall by the investigating officer, who was determined to elicit a confession and eventually John said, "Yep. I did it. Must have." But it didn&apos;t add up. Investigators were certain there had been more than one killer, and it didn&apos;t look like a crime of passion. This was something different entirely. Before long, evidence eliminated John as a suspect. At the funeral a week later, Anita&apos;s mother and father were composed and silent. John had to be held upright during the service, and when her coffin was carried from the church, he yelled "Don&apos;t take her away from me. Please. Don&apos;t take her away." He had never been a big drinker and found drugs utterly repulsive, but all that changed the moment he learned of Anita&apos;s death. After the funeral, John said all he wanted was to "feel hurt and die". The day after Anita&apos;s funeral, John moved to the US. He used heroin, cocaine and drank to excess. A medical report says he was taking enormous quantities of pills, sedatives, hypnotics, pain relieves and tranquillisers, as well as a bottle of scotch a day. John suffered a complete mental breakdown, and has said that his decision to move overseas was due to the excessive publicity. He felt that everywhere he looked, he saw Anita. John told The Daily Telegraph, 30 years after the murder, "I blamed myself for her dying and still do. I should have been with her." John was plagued with crippling nightmares, imagining himself killing the men who did this to her. “My life, my family’s life and Anita’s family will suffer for the rest of our lives,” he said. He ended up in hospital in the US with a broken foot and no recollection of how it happened. The last straw was when a journalist came knocking on his door in Michigan, and his sense of anonymity was shattered. John decided to move back to Sydney. It was after he returned home, in 1987, that John made the decision to change his last name. &apos;Cobby&apos;, he felt, made him synonymous with the murder of Anita, so he changed his surname to Francis. 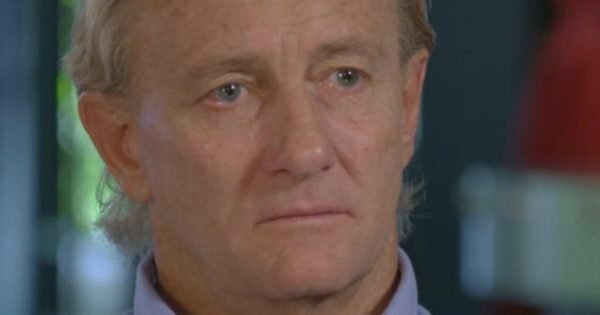 John started work as a psychiatric nurse in Long Bay Correctional Centre back in Australia, and although he denied this had anything to do with Anita&apos;s killers, his sister disagreed. She believed he wanted to know where they were, and he wanted to kill them. Reporter Steve Pennells told News Corp, "He still doesn&apos;t know the names of the people who killed her, he&apos;s avoided that his whole life." He has avoided memorial services, and only visited her grave for the first time 10 years following her death, in 1997. In April, 2016, John, along with his son Daniel, went to the Department of Births, Deaths and Marriages, and changed his name back to John Cobby. Today, John is 58 years old, and is separated from his second wife. His story reminds us that when a crime stops dominating the headlines, there are human beings who are still struggling to survive, not just for days or weeks, but for decades. And their lives turn into unimaginable nightmares. Perhaps you never recover from a loss like what John endured. Because when Anita was murdered, part of him died too. 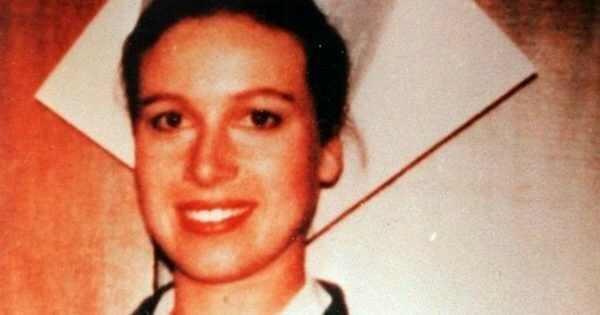 This story was drawn extensively from the latest episode of Casefile: True Crime Podcast, which this week covered the Anita Cobby case. You can follow Casefile on Facebook, here. Or subscribe to the Casefile podcast, here.